The Barcode Experts - Electronic Reading Systems Ltd, stock one of the UK's largest ranges of Auto ID Equipment including Barcode Scanner and Barcode Label Printer equipment for all 1D and 2D Barcode scanning and printing solutions. 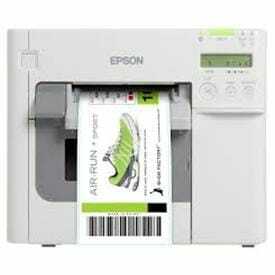 From Desktop and Industrial barcode label Printers to Full Colour Label Printers along with a superb range of labels, ribbons and Inks all available from stock. Our colour and thermal label media consumable range covers all retail, industrial product label and price label printing requirements. 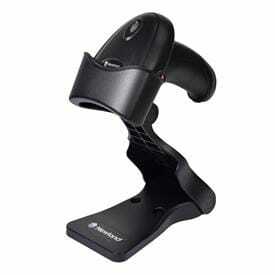 We are the Barcode Scanner experts with a huge range of Barcode Scanners and Handheld Barcode Readers in stock. 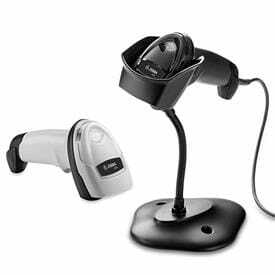 Check out our Rugged Barcode Scanners with Corded, Bluetooth and wireless options. ERS specialise in Barcode mobile computers with 1d and 2D Barcode scanners and systems. With Solutions for data capture and management of all your critical mobile data capture requirements. 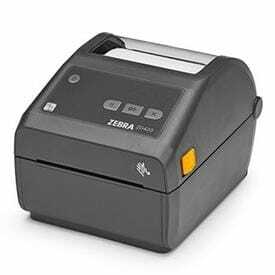 The mobile all-purpose scanner Zebra DS2278 reads 1D and 2D barcodes in a matter of seconds - from classic paper and plastic labels to smartphone displays. It captures customer cards, promotion cards, vouchers and much more for simple payment settlement, also directly from a customer's smartphone - optimal for usage in retail and hospitality, even during peak times. Combining sophistication with high functionality, Star’s mC-Print3™ receipt printers, part of Star’s new mCollection, have been designed to aesthetically match the sleek, modern design of tomorrow’s retail and hospitality environments. Throw away those old cumbersome Day Dot Labels, with the New Promo I Day Dot Label Gun from printSTAR you have 9 Day Dot Label phrases in the palm of your hand. The NEW TSC models convince with their low price tag, and are ideal if you are looking for an entry-level model with the basic features of receipt and label printing. You connect the devices via USB 2.0 to the host or alternatively use the optional Bluetooth interface. At ERS we love developing Android terminal apps for custom applications, in fact we love it so much we want to share what we develop with you. Our latest Zebra Android specific ScanToStore App is our first to be released as freeware and provides a simple easy to use data collection utility that works. You’re running a small business. And that means there’s so much to do — and so little time. Now, there’s a new small business tool that gives you everything you need to be more successful — the TC20 mobile computer from Zebra. You get the right looks. All the business features you need to save time and money, increase sales and boost profitability in your store. All at the right price. The TC20 from Zebra — the small business tool done right.